Due to lack of interest this field trip has been cancelled. Full refunds will be made to those students who have registered. 1) At least half of each participating team must be enrolled in either a High School or PostSecondary Institution. 2) All routines must be a minimum of 2 minutes and a maximum of 3 minutes and 30 seconds long. 3) The use and sale of drugs and/or alcohol is strictly prohibited. Violation this rule will be result in immediate disqualification. 4) Music must be sent in to unlimiteddanceclub@gmail.com no later than March 6, 2015. 5) Friends and family may purchase tickets for $10 and will be made available purchase for all schools upon request. Tickets will also be available for purchase at the door for $12. Children under the age of 7 are free. I have tickets - see me if you want to get them for $10. 6) The event will begin on Saturday, March 28th at 4:00pm in the UBC Norm Theatre. Teams are allowed to schedule in advance a practice and sound check session between the times of 12:00pm and 3:30pm. I have requested a 3pm check-in and 3:20 practice time. We got it! Check-in at 3 and practice at 3:20. We expect that the event will run between 4:00 - 6:00~ pm. After the performances have finished there will large freestyle section where performers and audience members can win some of our sponsorship prizes. 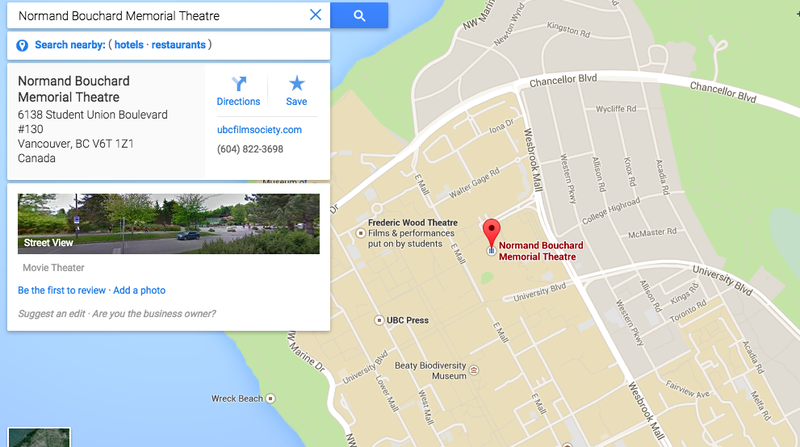 Finally, since many performers may be unaware of how to get to UBC / where to park / how to find the Norm Theatre we will be uploading a quick instructional video on our Facebook page sometime next week. I did not receive a great response from our students for the Seattle trip. About half of the dance team students are able to go. A lot of time and effort is put into planning an event like this and the reason that I give my time to these events is because I know it creates great memories and bonding opportunities for the students. If you have any questions about this event, please feel free to e-mail me or come and see me at the school. I would like to have as many of the dance team students involved as I can as it will create stronger bonds for our teams next year, it will be a great send off to those seniors that will be leaving us, and it will make for better performances if all of the team members are there to perform. I am working together with Ms. Law from Sullivan, Ms. Jensen, from Panorama, and Ms. Clements from North Surrey to put together this dance experience for our students. We are still working on the details and will need to have the exact numbers of students attending so we can book the busses, hotel rooms, and Mariners tickets. For this reason a non-refundable deposit of $75 is due: March 4, 2015. Sleep in, checkout, bus back to Surrey, arriving around mid-afternoon. There will be a mandatory parent information meeting before the Works in Progress show on April 9 at 6:00. Our show will start at 6:30. If your student is planning on attending the Seattle Dance Team Trip but you are unable to attend this meeting time, please e-mail me to set up a meeting time that will work for you. (fhdance@gmail.com) At this meeting, I will collect the second payment of $75 for the trip, go over the final itinerary, and have all the necessary forms to be completed and handed in. Hopefully, with some fundraising, we will be able to get the price down from $250 to $200 and the final payment will only be $50. The final payment will be due May 14, 2015 at dance team practice. April 9, 2015 at 6pm $75 second payment and parent meeting in the theatre. May 14, 2015 $50 - $100 (depending on fundraising) final payment due. If you have any questions don’t hesitate to e-mail or come and see me at the school. Photos: Outbreak 2015 - more photos! !